The Cayman Islands are an overseas territory of the United Kingdom located in the western Caribbean Sea. It is comprised of three islands, Grand Cayman, Cayman Brac, and Little Cayman. Located south of Cuba and northwest of Jamaica, the Cayman Islands lie on the outer edge of the Caribbean and are the closest to Central America. The Caymans are one of the most popular tourist attractions in the world due to its pristine beaches and scuba diving opportunities. It contains a major global offshore financial services center. The Cayman Islands are a largely self-governing British dependency located in the Caribbean Sea. Comprised of Grand Cayman, Cayman Brac and Little Cayman, the Cayman Islands are a three-island archipelago lying between Cuba and Central America. They are located 268 km northwest of Jamaica and 240 km south of Cuba. Its geographic coordinates are 19°30 north, 80°30 west. With a land area of 101.2 square miles (259 km²), the islands are approximately 1.5 times the size of Washington, D.C., with a coastline of 99 miles (160 km). These islands make a maritime claim of a 200-nautical mile exclusive fishing zone which includes 12 nautical miles of territorial sea. The Cayman Islands' lowest elevation is the Caribbean Sea at sea level. The highest point is The Bluff, a limestone outcrop 43 m (141 feet) in length on the eastern end of eastern Cayman Brac. The terrain is mostly low-lying limestone base, surrounded by coral reefs. The Cayman Islands have a tropical marine climate, with a wet season of warm but rainy summers lasting from May through October. The winter is dry and relatively cool, lasting from November through April. An important environmental issue is the lack of fresh water resources. Drinking water supplies must be met by rainwater catchment and desalination. Natural resources include fish and a climate and beaches that foster tourism, which is the islands' major industry. A 2005 estimate of land use determined that the Caymans' had 3.85 percent arable land and no permanent crops. A major natural hazard are the tropical cyclones that form during the Atlantic hurricane season from July to November. On May 10, 1503 Christopher Columbus discovered the Cayman Islands and named them Las Tortugas which literally translates into "the turtles" in Spanish, after the numerous sea turtles found there. He had found Cayman Brac and Little Cayman, the two smaller islands. A map from 1523 shows the islands being referred to as "Lagartos", meaning alligators or large lizards, but by 1530 they were known as the Caymanas, the Carib Indian word for the marine crocodile that also lived in the area. The first recorded English visitor was Sir Francis Drake in 1586. He allegedly reported that the caymanas, marine crocodiles, were edible. However, it was the abundant turtles that ships were attracted to, in search of fresh meat for their crews. Overfishing the turtles nearly extinguished them from the local waters. Around 1700, the first recorded permanent inhabitant of the Cayman Islands was born, Isaac Bodden. He was the grandson of one of the original settlers, who was likely one of Oliver Cromwell's soldiers at the taking of Jamaica in 1655. Over time and throughout history a variety of people have settled on the Cayman Islands and have called it home: pirates, refugees from the Spanish Inquisition, slaves and shipwrecked sailors. The majority of Caymanians are from African and British descent, with considerable interracial mixing. Britain took formal control of the Caymans, along with Jamaica, under the Treaty of Madrid in 1670 after the first settlers came from Jamaica in 1661-1671 to Little Cayman and Cayman Brac. These first settlements were abandoned after attacks by Spanish privateers, but British privateers often used the Islands as a base, and in the eighteenth century they became an increasingly popular hideout for pirates, even after the end of legitimate privateering in 1713. Following several unsuccessful attempts, permanent settlement of the islands began in the 1730s. Beginning in 1670, the Cayman Islands became dependencies of Jamaica, although there was considerable self-government. On December 5, 1831, a Legislative Assembly was established through consent, during a meeting held by principal inhabitants. Elections were held on December 10 of the same year; later on December 31 the legislature passed the first local legislation. Because of this the Governor of Jamaica authorized a legislature consisting of eight magistrates appointed by the Governor himself and ten, later increased to 27, elected representatives. In 1835, Governor Sligo of Jamaica arrived in Grand Cayman to announce that all slaves were free, in accordance with the Emancipation Act of 1833. In 1863 the Cayman Islands were officially declared and administered as a dependency of Jamaica, but were rather like a parish of Jamaica with the nominated justices of the peace and elected vestrymen in their Legislature. From 1750 to 1898 the Chief Magistrate was the official administer of the dependency, who was appointed by the Jamaican governor. In 1898 the Governor of Jamaica began appointing a Commissioner for the Islands. The first Commissioner was Frederick Sanguinetti. In 1959, upon the formation of the Federation of the West Indies, the dependency status with regards to Jamaica ceased officially although the Governor of Jamaica remained the Governor of the Cayman Islands and had reserve powers over the Islands. Starting in 1959 the chief official overseeing the day to day affairs of the islands (for the Governor) was the Administrator. Upon Jamaica's independence in 1962, the Cayman Islands broke its administrative links with Jamaica and opted to become a direct dependency of the British Crown, with the chief official of the islands being the Administrator. In 1953 the first airfield in the Cayman Islands was opened as well as the George Town Public Hospital. The British firm Barclays ushered in the age of formalized commerce by opening the first commercial bank. In 1959, following a two year campaign lead by women to improve their circumstances, the Cayman Islands received its first constitution that finally allowed women to vote. At the same time, Cayman ceased to be a dependency of Jamaica. During 1966, legislation was passed to enable and encourage the banking industry in Cayman. In 1971 the governmental structure of the Islands was again changed with a Governor now running the Cayman Islands. Mr. Athel Long CMG, CBE was the last Administrator and the first Governor of the Cayman Islands. In 1991 a review of the 1972 constitution recommended several constitutional changes to be debated by the Legislative Assembly. The post of Chief Secretary was reinstated in 1992 after having been abolished in 1986. The establishment of the post of Chief Minister was also proposed. However, in November 1992, elections were held for an enlarged Legislative Assembly and the Government was soundly defeated, casting doubt on constitutional reform. The "National Team" of government critics won 12 (later reduced to 11) of the 15 seats, and independents won the other three, after a campaign opposing the appointment of the Chief Minister and advocating spending cuts. The unofficial leader of the team, Thomas Jefferson, had been the appointed Financial Secretary until March 1992, when he resigned over public spending disputes to fight the election. After the elections, Mr. Jefferson was appointed Minister and leader of government business; he also held the portfolios of Tourism, Aviation and Commerce in the Executive Council. Three teams with a total of 44 candidates contested the general election held on November 20, 1996: the governing National Team, Team Cayman and the Democratic Alliance Group. The National Team were returned to office but with a reduced majority, winning nine seats. The Democratic Alliance won two seats in George Town, Team Cayman won one in Bodden Town and independents won seats in George Town, Cayman Brac and Little Cayman. Although all administrative links with Jamaica were broken in 1962, the Cayman Islands and Jamaica continue to share many links and experiences, including membership in the Commonwealth of Nations, Commonwealth citizenship and a common united church, The United Church in Jamaica and the Cayman Islands. Until 1972 they shared a common currency, the Jamaican dollar. Also, by 1999, 38-40 percent of the population of the Cayman Islands was of Jamaican origin and in 2004/2005, a little over 50 percent of the expatriates working in the Cayman Islands (8,000) were Jamaicans with other significant numbers of aliens moving in from communities from the United States, United Kingdom and Canada. In September 2004, Hurricane Ivan hit the Cayman Islands. The results were devastating, with loss of human life, animal life both domestic (livestock) and wild. Flooding was major throughout the island of Grand Cayman with some accounts reporting that 25 percent or more of the island was underwater. Lower floors of many buildings were completely flooded. This disaster also led to bankruptcy of the heavily invested insurance company known as Doyle. The company released estimates covering 20 percent of damages to be reinsured at minimal fees when in actuality the damage was over 65 percent and every claim was in the millions. The company was unable to continue to keep paying out and the adjusters could not help lower the payments any further due to the strict building codes that the islands are required to follow. The islands were bustling again by the following year, though they still showed some signs of damage. Vegetation had not totally returned, and construction had not yet begun in some places. White sands of Seven Mile Beach, Grand Cayman. Although it is a British dependency, the Cayman Islands are largely self-governing concerning local affairs. A 15-seat legislative assembly is elected by the people every four years to handle domestic affairs. Of the elected Members of the Legislative Assembly, or MLA's, five are chosen to serve as government ministers. The head of government is the Leader of Government Business. The British government appoints a governor to represent the monarch. In recent years, the powers of the governor have been limited to handling defense, the police force and foreign affairs. However, most of these affairs are handled by the chief secretary, who acts as governor when the governor is unable to discharge his usual duties. On a day-to-day basis the governor usually oversees the civil service including the portfolio of Internal & External Affairs. Since becoming part of the British Crown Colony in 1962, the islands have been governed by a written constitution. The Governor has called for the constitution to be modernized, an issue which is being debated with the Legislative Assembly. Great Britain has made it well known that such an action should originate within the people of the Cayman Islands and follow the referendum route. The foreign relations of the Cayman Islands are largely managed from the United Kingdom, as the islands remain an overseas territory of the UK. However, the islands' government often handles important issues with foreign governments solitarily, without any intervention from the Britain. Although in the country's beginning years, the Cayman Islands' most important relationships were with Britain and Jamaica, this has shifted, and they now rely more on the United States. The United Kingdom is in charge of the Cayman Islands' military defense. Because of this the islands have no permanently established military. However, they do have their own police force, the Royal Cayman Islands Police Service. In 2001 the small Cayman Islands Cadet Corps was formed in the place of a traditional army. As a tax haven neither Caymanians nor Caymanian companies are subject to any form of direct taxation. However, an import tax of between 5-20 percent is levied on almost all imported goods. 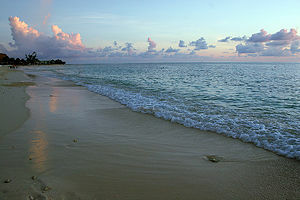 A 2007 estimate put the population of the Cayman Islands at 46,600. About half of that number were of Caymanian descent, with 60 percent of the population being of mixed race. Of the remaining 40 percent, about half are Caucasian and half are of African descent. The vast majority of the population resides on Grand Cayman. Cayman Brac is the second most populated with about 2,000 residents, followed by Little Cayman with around 200 permanent residents. Approximately one quarter of the Islands' population left following Hurricane Ivan, due to the myriad of problems, financial and otherwise, caused by the hurricane. 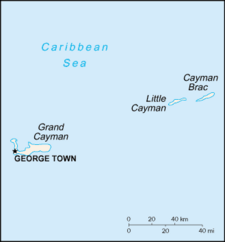 The capital and major city of the Cayman Islands is George Town, which is located on the west coast of Grand Cayman. The islanders are almost exclusively Christian, with large number of Presbyterians and Anglicans. 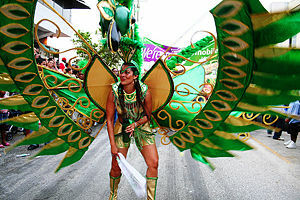 Caymanians enjoy one of the highest standards of living in the West Indies. The Cayman Islands Education Council operates state funded schools on the island, with a Caribbean-oriented education curriculum. Caymanian children are entitled to free primary and secondary education. Various churches and private foundations operate several private schools offering curricula derived from American and British education systems from kindergarten to twelfth grade. Grand Cayman is also home to Saint Matthew's University, which includes a medical school and a school of veterinary medicine. The Cayman Islands Law School (CILS), a branch of the University of Liverpool in the UK, is also based on Grand Cayman. Situated in George Town, the law school has been in operation since 1982. As taken from the student handbook, "The Law School provides tuition for both full and part-time programmes leading to the Bachelor of Law (Honours) Degree of the University of Liverpool and the qualification of Attorney-at-Law of the Cayman Islands, following successful completion of the postgraduate Professional Practicum Course." Grand Cayman is home to University College of the Cayman Islands, the only government-run University on the island. The International College of the Cayman Islands is located in Newlands, about seven miles east of George Town. The college, established in 1970, is accredited by the Accrediting Council for Independent Colleges and Schools; it offers degree programs at the Associate, Bachelor and Post-Graduate levels. With an average annual income of around $42,000, Caymanians enjoy the highest standard of living in the Caribbean. According to the CIA World Factbook, the Cayman Islands GDP per capita is the eighth highest in the world. The islands print their own currency, the Cayman Islands Dollar (KYD), which is pegged to the U.S. dollar at a fixed rate of 1 KYD = 1.227 USD. Thus, the C.I. Dollar's rate of exchange with all other world countries is directly tied to the U.S. dollar's rate of exchange with those same countries. The government's primary source of income is indirect taxation. An import duty of 20 percent is levied against goods imported into the islands. Few goods are exempt; notable examples include books, cameras and baby formula. Duty on automobiles is charged on a sliding scale with the duty reaching 40 percent for expensive models. The government charges a flat licensing fee to financial institutions that operate in the islands. A small fee is also charged to each tourist who arrives on the islands. Cayman Islands' beautiful beaches and warm climate foster tourism, the major industry, which accounts for 30-40 percent of the annual gross domestic product. Of the millions of tourists that visit the islands each year, 99 percent of the them stay on Grand Cayman; possibly because George Town serves as a major cruise-ship port, which brings in 2,000 - 3,000 tourists every day of the week. Grand Cayman's major tourist attraction is the world-famous Seven Mile Beach on which most of the island's hotels and resorts are located. It is regarded by many as one of the best beaches in the world. The Cayman Islands are also world famous as a scuba diving destination because of their proximity to the Cayman Wall and the Cayman Trench, which extend deep into the coral reefs of the Caribbean. Cayman Brac and Little Cayman are also considered to be elite dive destinations. Because the Cayman Islands are not subject to direct taxation by the British government, nor is there a local income tax, they serve as an international offshore-banking hub and tax haven for millions of people and corporations. As of 2000, almost 40,000 companies were incorporated on the Cayman Islands including 600 banking and trust companies with assets in excess of $500 billion. Approximately 6,000 of the world's 8,000 hedge funds are also domiciled in the Cayman Islands. This industry provides approximately 40 percent of the Cayman's GDP. ↑ Background Note: Cayman Islands. U.S. Department of State (August 25, 2011). Retrieved January 10, 2012. ↑ United Kingdom - Cayman Islands. Commonwealth Secretariat. Retrieved January 10, 2012. Cayman Islands CIA World Factbook access June 23, 2007 Originally from the CIA World Factbook 2000. This page was last modified on 19 January 2017, at 16:40.